The Nice Mirror is a lovely piece. It features a simple rectangular frame fashioned from wood. It is then wrapped with an embossed filigree metal overlay. A bright silver finish colors the frame which is then brushed over with black accentuating the detail of the embossing. It is finished with a bright brushed silver with black highlights. The Nice Mirror is a perfect accent piece for any design. Hang in either a horizontal or vertical orientation! 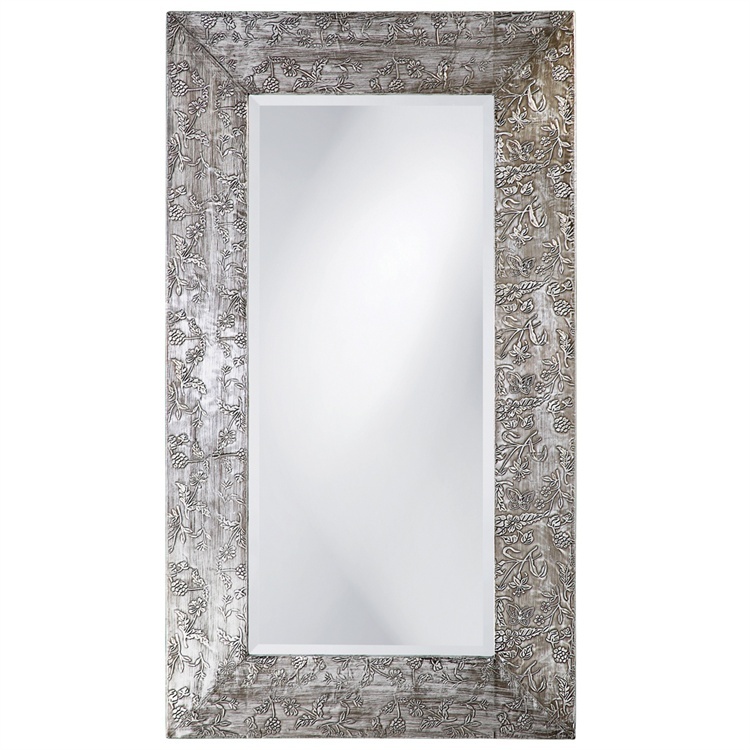 The mirrored glass on this piece is beveled adding to its beauty and style. Customizable for larger orders.